CryoUSA℠ Solutions, the world’s leader in providing whole body cryotherapy and a Proud Partner of the Dallas Cowboys™, is proud to announce the names of its recently formed, ten-member advisory board comprised of industry leaders within the business, sports, and medical fields. The creation of our advisory board underscores our commitment to leading the evolution of the recovery industry and whole body cryotherapy. Jill Bass, Vice President of Orthopedic Services for the North Division of Baylor Scott & White Health and licensed Physical Therapist. Dr. Frank Corbo, CEO of EduCare Publishing and NexGen Pharmacy Group with a passion for expanding healthcare-driven systems and working with over 2,000 providers and staff around the world. Tracy Gunter, CEO of Rehab Pro, one of the top providers and leaders of rehab services in the industry. Tony Hartl, CEO and co-founder of Seed Wines and well-known entrepreneur and founder of the highly successful Planet Tan franchise. Dr. Anthony Lyssy, Medical Director, Managing Partner and Co-Founder of Diamond Physicians, the first direct primary care medical practices in the country to franchise. Aaron Nelson, Phoenix Suns’ Vice President of Athlete Care and is in his sixteenth season as the Suns’ Head Athletic Trainer. Alberto Salazar, Head Coach at the Oregon Project at Nike and former world-class long-distance runner. Brian Schultz, CEO and Founder of Studio Movie Grill, a modern in-theater cinema-dining concept combining first-run movies with table service restaurants. Casey Smith, Head Trainer of the Dallas Mavericks, joining the team in the summer of 2004. John Taylor, President and CEO of Stonegate Senior LIving which provides management services for over 34 seniors housing and healthcare properties. CryoUSA Holdings is the parent company of CryoUSA Solutions which was formed to provide active recovery and unmatched customer experience to anyone seeking to improve quality of life and enhance an active lifestyle. This is accomplished by continual and diligent research, testing, education, and discovery of the most innovative recovery technologies in the world. Offering revolutionary, whole body cryotherapy along with other leading recovery modalities, CryoUSA Solutions has set the industry standards for safety, equipment, and reliability. And while professional sports teams, the world’s most elite athletes, and celebrities have trusted CryoUSA Solutions as their provider in recovery, individuals across the country can benefit through the 140+ recovery centers they have helped launch. CryoUSA Solutions is the established world leader in cryotherapy and recovery, providing unmatched expertise to numerous sports organizations. We are a Proud Partner of the Dallas Cowboys, SMU Athletics, and the Official Cryotherapy Provider of the Oregon Project at Nike and the Dallas Mavericks. Nine other NBA teams, Joe Gibbs Racing, and other NCAA teams have chosen CryoUSA Solutions as their cryotherapy equipment provider as well. In addition, we provide cryotherapy to athletes from USA Triathlon, USA Track and Field, MLB, UFC, the NHL and many others. Having installed over 160 cryotherapy units and helped start over 100 independent cryotherapy businesses nationwide, the experienced team members at CryoUSA Solutions are the go-to specialists in the recovery industry. 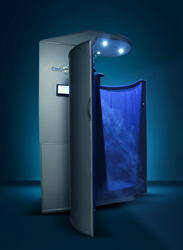 To learn more about whole body cryotherapy and additional recovery modalities, visit http://www.CryoUSAsolutions.com.